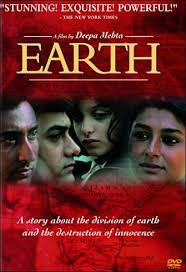 "I have always wanted to know what it is like to live on earth". 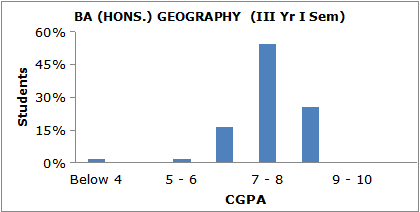 Geography is a unique blend of the basic and social sciences. It helps provide a wide range of information and understanding that is essential for making sense of a world. In 1964, Miranda House became the first women's college in India to offer Geography as a discipline at the undergraduate level. Since then it has maintained a tradition of high academic and co-curricular excellence. In a world challenged by diminishing resources, a rapidly growing population, and increasing tensions over cultural values, economic development and environmental issues, Geography as a discipline looks into the dynamics of global change and their local experiences. The course tries to impart a geographical approach to the students thus to make them capable of explaining aspects of natural and social environment where they live and in answering some fundamental environmental, economical, socio-cultural and political questions. It is an intellectually challenging subject that synthesizes appreciation of critical thinking and synergizing sciences with Humanities. In the pursuit of making sense of the space where one live, we tries to blend both the traditional and modern methodological tools in our class rooms. 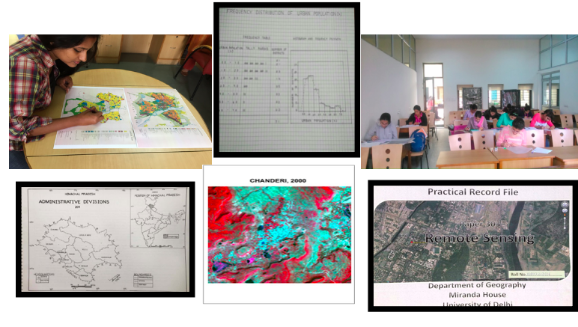 Thus it involves the traditional approach of fieldwork, mapping and spatial analysis, complemented by the latest statistical methods, computer cartography, and Geographical Information System. This course creates an arena of opportunities for the academically inclined as well as for those students who explore options outside the subject after their degree courses such as in business, administration, law and planning. It also offers a number of rewarding opportunities in teaching at all levels of the education system. 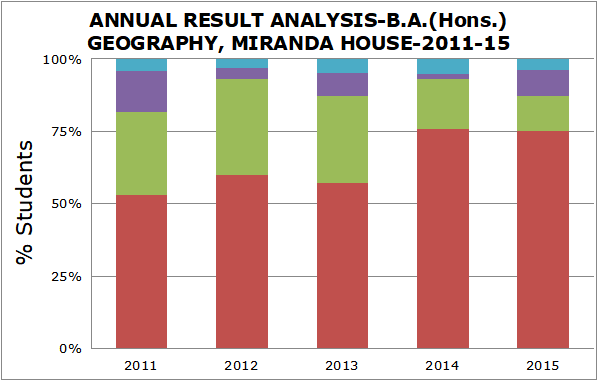 Over the years, the Department of Geography has produced a large number of dedicated scholars, teachers and those who have excelled in other areas. The Department maintains two Laboratories for teaching purposes, one for traditional cartographic exercises and the other one for latest computerized cartography and Geographical Information System, a Departmental Library, and an automated weather station. The Department of Geography has an active Geographical Society which organizes lectures by distinguished academicians and other extra and co-curricular activities. The Society also facilitates participation of students in various activities across colleges of the University of Delhi. The Department of Geography upholds a culture of research involving the faculty members and the students. Lectures are the most frequent method of student teacher communication in the learning process. However, this one way communication of prepared talk is made more interesting and visually captivating by power point presentations and teaching with basic tools of geography that is maps and globe. Asking questions during the presentation and lectures are encouraged to create deliberate opportunities for the pupils to ask their own questions and express their views. 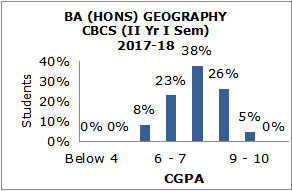 The learning in the Geography classrooms is thus no longer a one way process as the students are equal participants in the teaching learning process. Along with the usual lectures the department is very keen in tutorial sessions where times is spent on discussing and learning from one another and revisit some topics already done in lectures for more clarity and further understanding. Often, during the tutorials, students are encouraged to carry out better writing and map making practices. The tutorials are based on the mentoring methods of teaching at the undergraduate level. In the practical classes, teachers use lectures, audio visuals and instruments to instruct and demonstrate students. They are given hands on training on how to use each instrument. They are introduced to Topographical Sheets that are integral to the study of interrelationships between the physical and cultural features in the maps. They are trained in computer cartography, GIS and remote sensing tools. Field work is an essential component of Geography curriculum. Field work emphasises direct experience through observation and sharpening of interpretation skills providing avenues for empirically substantiating what is learnt in the classroom. Mrs. Punam Behari, Dr. Ritu Alhawat, Dr. Rakhi Parijat, Dr. Punam Kumria, Dr. Anindita Dutta and Dr. Bashabi Gupta have successfully completed two innovation projects under the University of Delhi Innovation Scheme. 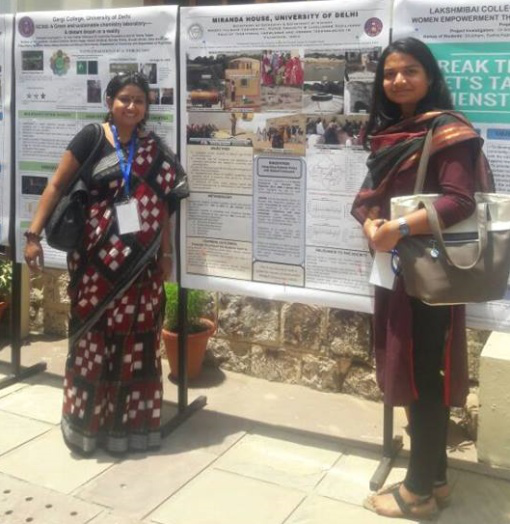 Dr. Anindita Dutta and Dr. Bashabi Gupta's innovation project-MH 301, titled "Climate Variability, Water Security and modern technologies in Rajasthan, India" selected to exhibit at the venue of the 94th Foundation Day of University of Delhi on 01 May 2016. 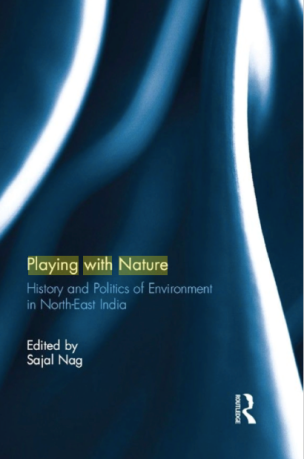 Dr. Bashabi Gupta 1997 was awarded with Felix Scholarship to study for the degree of MA Environment and Development at School of Oriental and African Studies, University of London. She was awarded with Navajbai Ratan Tata Trust Scholarship for Post-Doctoral research at CSSS Kolkata in 2008-09. 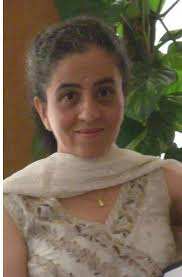 Dr. Ritu Ahlawat had selected for First Young Geographer Award for best research paper presented at the 21st Indian Geography Congress, Jan, 2000, Nagpur. Dr. AninditaSarkar was selected for Shyama Prasad Mukherjee Fellowship Examination for being among the top 20% of the CSIR Research Fellowship Holders, 2003. Ms. PunamBehari is a recipient of University Medal for securing First position in M.A. 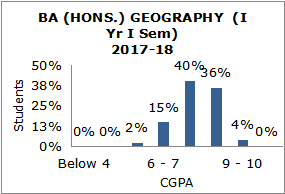 Human Geography in University of Delhi 1976. Dr. Parvati Raghuram, Professor of Geography and Migration, Open University, London, 1985 alumna of our Department, received Royal Geographical Society Award (with IBG) in recognition of her "outstanding contribution to Geography" on June 6, 2016. 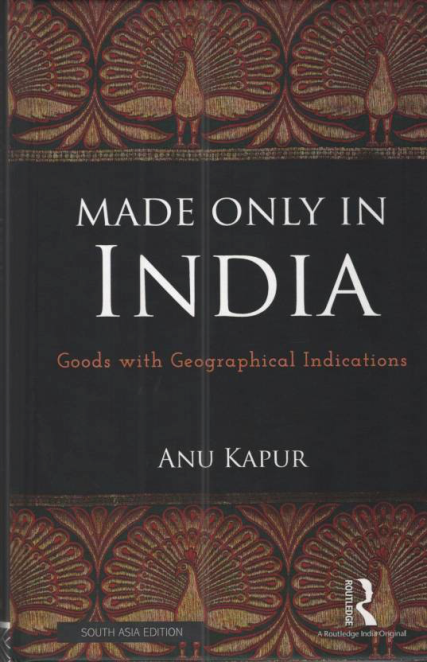 Dr. Anu Kapur, Professor of Geography, Delhi School of Economics, 1979 alumna of our Department . Received Amartya Sen Award for Distinguished Social Scientist, 2012 . 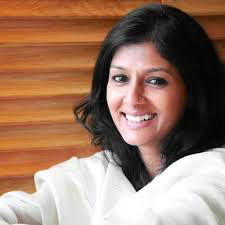 Nandita Das is a renowned actress acted in more than 40 feature films in 10 different languages. 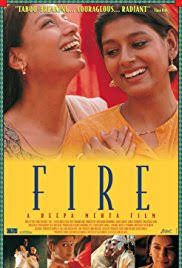 She was the Chairperson of Children's Film Society between 2009 and 2012. 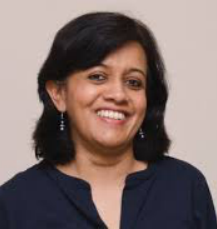 The OU's Professor of Geography and Migration Parvati Raghuram is to receive a major honour from the Royal Geographical Society (with IBG) in recognition of her "outstanding contribution to geography". She is among just 21 people worldwide named in their annual awards.